Melbourne Heart FC Head Coach John Aloisi and Club captain Harry Kewell have been selected in the FFA 'Team of the Decade' to celebrate the 50th Anniversary of FIFA Membership. Football Federation Australia (FFA) today acknowledged the heroes by naming its Teams of the Decade in conjunction with the 50th Anniversary of FIFA Membership at a Hall of Fame function in Melbourne. 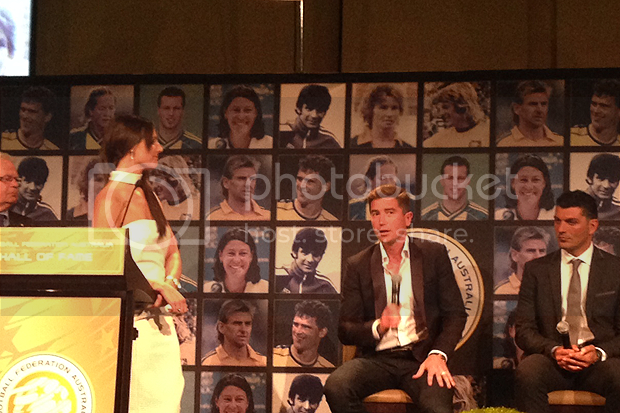 Melbourne Heart's Kewell and Aloisi featured in the Men's 2000-2013 Team of the Decade, alongside the likes of Schwarzer, Craig Moore, Brett Emerton and Tim Cahill. To see the players selected in the Teams of the Decade click here.